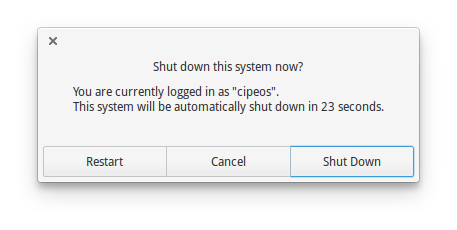 I can access two different shutdown menus. When looking for a command that I could use with a shortcut to shut down the system, this is the one I could find. How to access system shutdown with a shortcut in Freya? DBus Signal for Session Lock/Unlock?